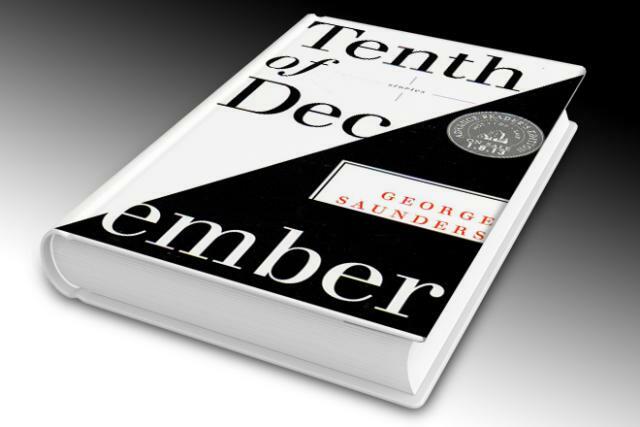 I've been taking my time reading through George Saunders' The Tenth of December. I've previously read almost all of the stories from The New Yorker, so I don't feel the same manic urge to plow through them. This is probably a good thing… I'm lingering a bit more, and noticing some new things that I hadn't before. The book as a whole is kind of perfect. It manages to be simultaneously heartbreaking and warm, without ever coming across as melodramatic. Saunders has always been great at striking emotional chords, but this time it feels like those human elements are at the center of his stories, and not something that happens along the way. That's mostly due to the style and structure he uses in these stories, but I think part of it comes from the settings. In the past, many of my favorite stories of his have been set in a sort of near-future mild dystopia. That's true for a couple of stories here, most notably Escape from Spiderhead and The Semplica Girl Diaries, but most of them seem like (absent an invented brand name or two) they could easily be happening right now. As is always the case for Saunders, even the "futuristic" stories are primarily focused on the characters and their voices. I found myself often thinking back to George Saunders' book-reading and Q&A at Book Passage, and in particular his comments on empathy. It's an incredibly rare gift, both in people and even more so in writing. We're so often stuck in our own heads that it can be hard to understand why other people act the way they do, say the things they say, choose their choices: we tend to interpret everything another person does relative to our own preferences, and can often ascribe malice or foolishness to the actions of others. That's an even greater risk in aggregate. Historically, groups of people have often damned entire other groups, such as saying that all Germans are homicidal. Today, we're often striated within social groups, and apply sweeping generalizations to members of other groups with whom we rarely interact. So, we get many people believing that 47% of Americans are lazy, selfish freeloaders; or people believing that the top 1% are heartless, vindictive, rapacious exploiters; or that Christians are bigots; or that atheists are amoral. If we encounter a member of the other group, we automatically ascribe these shortcomings to them. How can we overcome those prejudices? Usually, it takes getting to actually know someone well, and in particular to have succeeded together as a team. However, I think that Saunders shows the great potential of fiction in providing similar eye-opening experiences. He doesn't come at this from a moralistic or a judgmental angle, saying "Person X is actually really wonderful, and you should respect them for who they are!" No: he shows life in all its messiness, and its complications, and gently suggests that things may not be as clear-cut as they first appear. That's true through much of this collection, but the best example may be from the story "Puppy". To oversimplify the story, it's about an upper-class family encountering a lower-class one. We shift between the perspective of two moms, both who want to protect their kids and make them happy. This causes some very dramatic shifts. Items that were casually breezed over by the lower-class mom are lingered over in dread by the upper-class one. What one thinks is a clever solution is seen by the other as child abuse. There's so much I like about this. Saunders avoids any sort of simple equivalency between the two: the derision and contempt go entirely in one direction, and feel all the sadder and more real for it. And even though I was reading this for the second time, I once again felt the odd vertigo of shifting my opinions from scene to scene. I think I'm ultimately on the "side" of the woman answering the ad… but now I cringe when I read her horror at the scenery inside the house, since I'm pretty sure I would react in much the same way (with fury inside my own head and icy politeness in my mouth), and I can also feel how badly the other woman is hurt by this, and how she's really trying to do her very best by her own lights. The few stories that weren't originally published in the New Yorker are on the shorter side. One particularly clever and frightening one is "Exhortation", which was written for McSweeney's. I was pretty astonished to find out later that it had been published all the way back in the year 2000. When I was reading it in the collection, I immediately assumed that it was written in a world aware of Abu Ghraib, Guantanamo, and KSM. Saunders now seems incredibly prescient; that's a very dark piece to have written in pre-9/11 days. It's interesting to think of how Saunders' stories may or may not be connected with real-world events. In the Q&A, Saunders mentioned that the story "Adams" was originally conceived during the debate over whether Saddam Hussein possessed weapons of mass destruction. The final story "Adams" has nothing to do with that topic, which just provided a seed for it. One particular story in this collection, "Home," seems impossible to read as anything other than a description of veterans returning from the war in Iraq and Afghanistan: sure, the wars are never named, but with civilian characters discussing whether it's one war or two, and whether or not they're still going on, it seems a pretty clear invocation of the contemporary conflict. "Home" is also a great example of Saunders' aching sense of humor, which leaves you torn between laughing and crying at the same stimulus. The running "joke" in "Home" is how everyone will say "Thank you for your service" to the narrator/protagonist, regardless of the circumstance: a clerk in the store, or a repo man taking his possessions, or a cop evicting his mother, or the man who cuckolded him. Returning to this phrase over and over again, Saunders draws out its awkwardness and banality, showing how this phrase that seems to express appreciation is actually used as a shield to deflect meaningful engagement. I could go on, but I won't. My favorite stories are probably "Victory Lap," "The Semplica Girl Diaries," and "Tenth of December." Everything here is worth reading, and a great example of Saunders' ever-growing excellence. On an off-handed recommendation from Chris Gardiner, the creator of Below, I've recently gotten into Sil, an ASCII RPG strongly based on the First Age as depicted in Tolkien's Silmarillion. Echoing a major section of The Lay of Beren and Luthien, your goal is to enter the depths of Angband, cut a Silmaril loose from Morgoth's crown, and then escape with it. It's an incredibly addictive, difficult, punishing, evocative, fascinating game that is causing me to recall my very earliest games, and also reflect on the interplay of technology and imagination. Sil belongs to a category of game known as Roguelikes. Descending from the game Rogue, which was created in 1980, dozens of games have evolved that tweak various aspects while retaining certain core fundamentals. 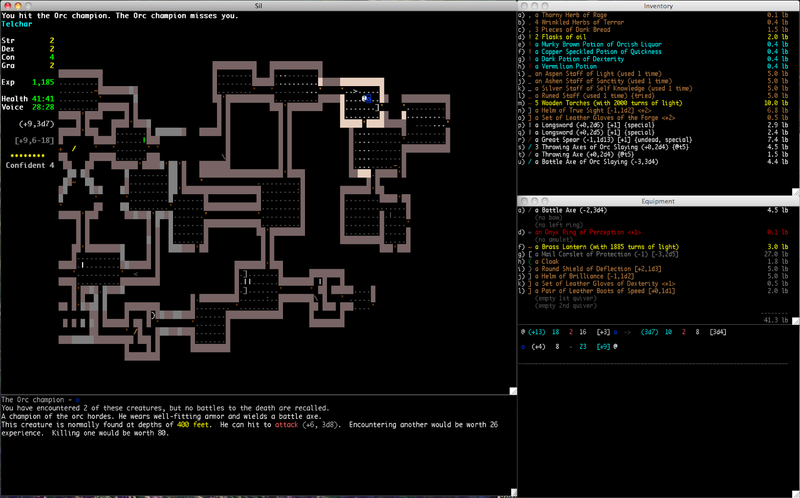 The most immediately obvious of these is the interface: a true Roguelike will use only ASCII characters. That means no bitmapped pictures: every creature and item will be represented by a letter, number, or character. So an orc scout will be represented with o, while Gorgol the Butcher is represented with o, a longsword is |, a staircase is >, and so on. Everything is laid out on a simple grid, and as you move from space to space, you gradually discover more of Angband, and encounter more of its denizens. It takes a while to get into it, but I've been surprised by just how powerful some of the situations can become. Even though there are no images, and, frankly, not even any dialog (although there are a few beautiful phrases from or inspired by Tolkien), I find myself becoming uncomfortably tense while playing the game. When I'm backed up in a corner, desperately hacking away at white worm masses swarming around me, and then I see a brigade of Orc soldiers march into the room, then spot me, raise the alarm, and rush in… well, I feel true despair, in a way I rarely do when playing modern RPGs. When I stumble into a darkened room, I quietly close the door behind me, then creep forward, with a lump of expectation in my throat… and then, if I'm very lucky, when I stumble across the Forge I've been looking for, a wave of relief washes over me, as I realize that I will likely survive to descend further into the depths. There are a couple of factors that go into this. The big one is how, by minimizing the in-game presentation, the game prompts your mind to create the visuals yourself. That's not too surprising: after all, it's how the novel works. All games used to be like this: whether a text adventure or Rogue, games would provide the plot and structure, and your brain would fill in the sound, music, faces, speech, and atmosphere. And once they get buy-in, games can do incredible things through text. It's fascinating to read stories from people who have beaten Sil, who report with nearly breathless wonder how they fled from Morgoth's mighty hammer Grond, and escaped from the webs of Ungoliant, and slew Lungorthin, the Balrog of White Fire, in desperately frenzied combat. Even today, I don't think any AAA title would be able to do justice to how I would imagine any one of those conflicts playing out, let alone all those and more in a single level. And yet, two guys who forked an open-source ASCII dungeon crawler were able to make it in their spare time. Incredible stuff. As a side note: I do find it encouraging that many developers are echoing similar conclusions. In a recent update to the Shadowrun Kickstarter, when explaining why they would be using text for story-related material, Jordan explained their plan: "The first of these powerful weapons is what I call 'The Infinite Resolution Rendering Engine' an incredible piece of biotechnology developed over millions of years, capable of presenting the audience such vivid imagery so real they can smell and even taste it. Yes you guessed it, it’s the gray stuff between your ears and the imagination it is capable of. We can’t afford to put everything in our imaginations onto the screen, so instead we decided to put it into your imagination via 'theater of the mind'. By combining beautiful environments and characters with cleverly-integrated text, we hope to inspire you to 'see' and 'hear' things that we could never afford to put on your screen or out of your speakers." That actually seems like a reactionary statement coming so soon after the Playstation 4 media event, which basically equated superior technology with superior storytelling. But I think Jordan's right, and we're hearing the same message in the very thoughtful pitches being made by inXile for Torment. In some ways, playing Sil makes me hearken back to my very first experiences with a computer. The first computer I ever had access to had two 5 1/4" floppy disks with games. One disk was labeled "Great Adventures II", and had a set of text adventure games. One was set on a nuclear submarine that suffered an accident; another started in a video game arcade in a small town; another saw you marooned on a mysterious island; another had you infiltrating a secret military installment hidden deep beneath the snow. I never beat any of them, but spend so much time in those worlds that I developed vivid images of their contents. The second disk was "Castle Adventure", and it featured ASCII graphics not unlike Sil. The setting of that game was quite different, though: it had much more space, and far fewer enemies, and was much more puzzle-focused and not as punishingly difficult. Oh, yeah: and it wasn't random. That's the other huge thing about roguelikes: they feature procedurally-generated dungeons, so they're different every time you play. The coding helps guide the layout and the difficulty so the overall progression will feel familiar: you'll mostly be traveling through rooms, which are sometimes adjacent but often connected by corridors; upper levels mostly contain weaker enemies like orc scouts and bats, and have less valuable items like Curved Swords and Pairs of Gloves; occasionally you'll find a particularly powerful enemy wandering the upper levels, or a rare artifact like Orcrist. Modern gamers are probably familiar with the concept as exemplified by Diablo, which essentially took Rogue's procedurally-generated-dungeon idea and applied it to modern graphics. So, how is Sil different from other roguelikes? I have to admit that I don't have a ton of experience with the genre; I played around a little with NetHack back in college, but at the time didn't get into it. Most Rogue/NetHack games are a kind of grab-bag of fantasy tropes, frequently taking an everything-plus-the-kitchen-sink approach: you can pick from a variety of races, and dozens of classes (I remember a Tourist class, inspired by Twoflower from Discworld! ), and encounter hundreds of monsters, learn hundreds of spells, and find thousands of items. Later on, Moria was more explicitly tied to Tolkien's mythos (the goal was to slay a Balrog in the depths of Moria), but had a very loose interpretation of that mythos, allowing for D&D-style elements like gnomes and paladins. A further descendent, Angband, took action back in time to the First Age and changed the setting to Angband, but added even more elements to an already overstuffed game, and operated under a fundamentally flimsy premise (that a mere mortal could slay the Black Foe of the World). Sil is based on yet another descendent of Angband (in case you're curious about the full genealogy: Rogue begat Moria begat Umoria begat Angband begat NPPAngband begat Sil), and makes two crucial innovations, in my mind of equal importance: it remade the game as a faithful adaptation of Tolkien's world and works, and it significantly simplified the game's mechanics in order to draw out more interesting tactical considerations. These two factors actually affect one another to a certain degree. Tolkien had a very well thought-out world, which doesn't have a lot of the detritus that litters most latter fantasy novels and games. The most noticeable change may be that of magic. Middle-earth is an example of what's often called a low-magic world: there are some magic forces at work, but it is very rare and generally subtle. Even an incredibly powerful wizard like Gandalf does not shoot forth enormous fireballs from his hands, or give life to inanimate objects, or telepathically communicate with others. And Gandalf is very unusual: as one of only five Istari, he is one of the rare entities with access to any magic at all. Unlike a setting such as Dungeons & Dragons, where any human or elf who wants to can learn magic, mortals in Middle-earth must do without. So, Sil doesn't have any spells, or any magic scrolls, or familiar summons. It does, however, draw on Tolkien's legendarium to fill out the range of possibilities. Poetry and song play a major role in his works: the very world was sung into existence by Eru, and many of his books describe the power of song wielded by the free peoples: orcs fleeing in terror before the song of warriors, or allies feeling strengthened and emboldened by the songs of friends. Sil uses Song, but it isn't just a re-name of magic: songs work in ways appropriate to the setting. All songs are essentially "sustains": you can only sing one song at a time, and continue it until you decide to stop or until your voice gives out. The Song of Elbereth will fill the hearts of Morgoth's minions with terror. The Song of Slaying will boost your skill at combat, growing stronger with each foe you slay. And, drawing directly from the Lay of Beren and Luthien, there are also subtle songs, like the Song of Lorien that can lull enemies to sleep, and the Song of Silence that can muffle the sound of your passing. As you may have deduced, the mission here is a bit more nuanced than that found in most Roguelikes. NetHack has you searching for a MacGuffin called the Amulet of Yendor. The original Angband required you to kill Morgoth. Well... that's a bit of a tall order, don't you think? I mean, if the twelve Valar couldn't kill Morgoth, what hope would a single mortal have? Instead, your goal is to accomplish the same feat as Beren and Luthien, and escape Angband with a Silmaril cut from Morgoth's crown. So (and here's where the gameplay gets interesting) there are a LOT of ways to accomplish this. You don't need to buff up a super-powerful warrior who can slay Morgoth in single combat. You could try to follow the path of Luthien, and make your way quietly with stealth and the aid of the Valar. Or you could seek to emulate the great craftsmen like Feanor and design powerful artifacts to help in your quest. The game seems pretty well balanced in how it allows you to play. Like a standard RPG, you can gain experience by killing monsters. However, you also gain a lesser (but still respectable) amount of experience by simply observing a monster. So, if you are quiet and patient, you can make a great deal of physical progress into the depths of the Iron Mountains and improve your character without needing to fight at all! 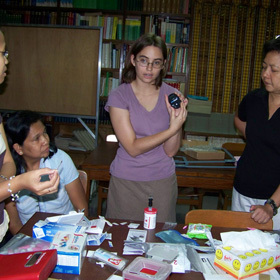 You can also gain experience by finding and identifying artifacts you encounter. So there are some really interesting trade-offs to consider: should you avoid combat, which is generally safer but will result in a weaker character? Or do you take on your enemies, potentially increasing your skills rapidly, but risking (permanent) death? I'm still struggling with the answer to that. You find pretty early on that you simply CANNOT prevail in every fight. When you come across a lone orc scout, it can be worthwhile to kill it to gain experience and remove a potential threat. However, if it survives your initial blow, it may yell for help, and before you know it, you're trapped in a narrow corridor, stuck between a half-dozen heavily-armored orc warriors beating you to (permanent) death. So... sometimes it's best just to let the scout go. In particular, the game diminishes the amount of XP you receive for each subsequent sighting and kill of the same enemy type, so you don't even gain anything from grinding out combat against the same weaker creatures. You're inexorably drawn deeper and deeper into the pit, ever further into danger and ever closer to Morgoth's grasp. As another example of the creators' fidelity to Tolkien, the various races are depicted accurately. In most fantasy games, like D&D, Shadowrun, or Dragon Age, creators try to keep races balanced. Certain races are stronger in some areas and weaker in others: for example, elves are often depicted as more charismatic and magically inclined, but weaker, whereas dwarves are sturdy but less nimble. This is desirable for game-creation purposes, since it gives players more freedom to pick an appropriate flavor for their character without handicapping themselves. However, Tolkien's own lore was very clear: elves are simply superior. Compared to humans, they're immortal, and stronger, and more graceful, and more beautiful, and better craftsmen, and more aligned with the wishes of the Valar... they're simply superior, full stop. So, when playing Sil, if you want the strongest character, you should choose a Noldor elf. The other choices offer different flavor but clearly greater difficulty. The Sindar elves have a slight advantage in archery. The Naugrim (dwarves) are strong and talented smiths. The Edain (high men)... well, they try hard. That's about it. Sil also does away with the concept of "classes": you don't create a Cleric or Ranger or Rogue. Instead, you have four primary stats (Strength, Dexterity, Constitution, and Grace) and eight skills. Your stats are basically innate, set at character creation. You start with a pool of XP that you can use to buy advances in the eight skills, starting you off on the path you envision for your character. A cautious player might invest heavily in Evasion and Stealth, while a more aggressive character would dump a lot into Melee or Archery. Skills like Perception can help anyone, but there's always a tradeoff: with the limited XP available, you'll never be able to raise every skill in the game. Finally, you can also use XP to purchase Abilities. These are cool: they grant a specific power to your character. If you learn Lore Master, you'll be able to immediately identify items you encounter without needing to use them first. If you learn Precision, you'll more easily get critical hits from bow attacks. Enchantment will let you craft items imbued with special powers. However, the price for subsequent Abilities in the same skill rises rapidly, so most players will need to pick only a couple from each branch before they grow prohibitively expensive. The final major innovation that caught my attention was the use of small numbers. That might sound like a silly thing: surely small numbers are less interesting than big numbers? I'm used to playing RPGs where I might have a Stealth skill of 67, wield a magical sword that deals a base damage of 83 points, and cast from a pool of 200 mana. In Sil, almost all numbers are single-digit. The first sword you pick up deals between 1 and 4 points of damage; the most powerful two-handed axe I've found so far can yield between 3 and 12 points. I have not yet been able to raise any of my Skills above level 7. I'm currently wearing a Cloak that gives me +2 to Evasion... and I'm ECSTATIC to have it. Having small numbers makes every single point matter. An RPG like Dragon Age typically features a smooth and gradual improvement in your character's abilities and equipment. Each new weapon you find might be 5-10% better than the one you were wielding before. Each new level up will give you 5-10% more hit points and a similar increase in skills. You feel a bit more powerful, but it doesn't make a huge impact in the progress of the game. In contrast, in Sil, an increase of a single point means a lot. You can survive noticeably longer, or kill noticeably more easily. I'd initially scoffed when I saw that Precision lowered the critical hit requirement from 7 to 6. Now, it's the first ability I take whenever I play an archer: that one point is huge. The ultimate effect is to keep things exciting. Finding a single artifact can drastically affect your survivability; depending on the type of artifact, it might even change your strategy. (Again, there are similarities to be found here with the Binding of Isaac.) It also prompts you to think very, very carefully about where to spend your limited XP, since buying a single point in a skill can have such a big effect. I definitely can't claim to be a good player. It took me a few days of playing to even make it below 200'. Lately I've been getting down to about 300-350' before succumbing, so I think I'm getting better. One major factor is just getting more acquainted with the monsters and mechanics so I know what to do. For example, I now know to kill worms very quickly if I run into them, before they have a chance to multiply. But, I also know to keep a healthy distance from green worms, since they can damage my equipment. Orc patrols used to always be the bane of me; I'm much more patient now, and generally lurk in the corners while they pass. I've lurked on a few Sil pages - there doesn't seem to be an organized community, but there are some Roguelike forums with occasional Sil threads - and have been really impressed by the intelligence and variety of Sil players. Some of the best players focus on Melee/Stealth builds, while others eschew Stealth entirely. Personally, I started off with a stealth Archer build suggested in a YouTube video, though I've had better luck switching it up since then. In particular, I now only put 2 points into Smithing so I can take Weaponsmith; this frees up a LOT of XP to distribute elsewhere. My general, vague strategy now is to give a minimal amount into Archery, Evasion, and Stealth to improve survivability, then dump everything else into Perception. I can usually get this up to 7 and buy the two Lore abilities by about 250'. Lore Master gives an immediate boost in XP from your un-identified items, which I then roll into Evasion so I can get Sprint. And then... well, then I typically die. But I'm getting further every time, so I feel like I'm on the right track. Long-term, I plan to re-invest in Archery and Stealth again, and operate as a sniper from the shadows, with the ability to flee and vanish when things get too hot. But, again, I love the variety of paths Sil offers, and sometime I'd love to try with Song-heavy build or something similar. The balance of the game is really impressive. It's consistently challenging, but so far has not felt impossible. Every single time I've died, I've been able to clearly identify the reason why. Typically, it's either "Oh, I guess monster X has effect Y. Well, next time I should use archery on them from a distance!" or "I should not have attacked that monster until after making sure no other creatures were within earshot." I guess the game is teaching me caution and patience... what a strange idea from a video game! Big thanks to Isbjorg for drawing Kiriyon, my elf mage from my most recent play-through of Dragon Age: Origins. I love Isbjorg's incredible fantasy art, and am thrilled to see my character come to life in this way. Kiriyon was really fun to play. I'd initially been concerned that she would seem too similar to Seberin, the male dwarf commoner rogue from my first game: both are fundamentally good people who get along with everyone in their party, romance Leliana, and make many of the same decisions at critical plot points (succession in Orzammar, conflict in the Brecilian Forest, etc.). The farther along I got, though, the more her personality clarified itself to me. Kiriyon was a quieter person, and kinder as well: where Seberin would finally make the "right" decision after complaining about it and making sure he had exploited every opportunity for pecuniary gain, Kiriyon felt a deep empathy for the people she encountered, and regularly sacrificed of herself for their benefit. 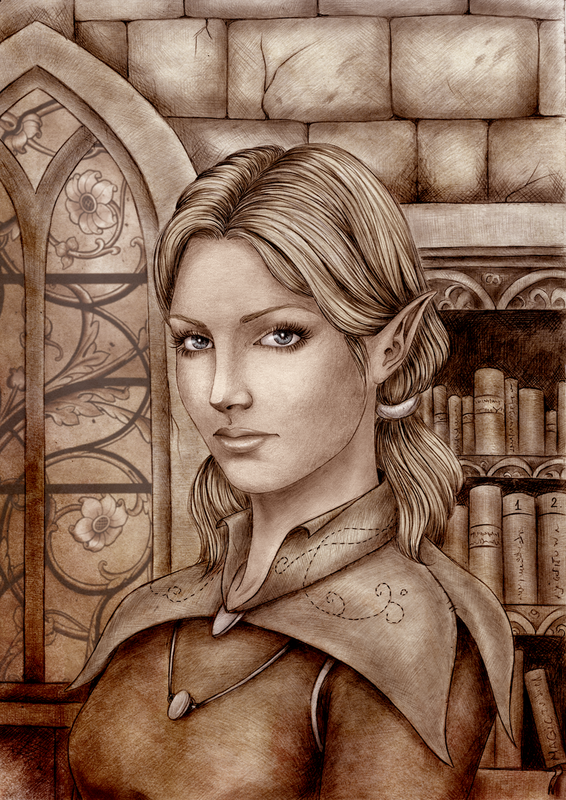 As an elf and a mage, she grew up doubly familiar with discrimination and ostracization, set aside from mundane human society by their fear, mistrust, and prejudice. Because of this, she had a particular softness for any group of repressed people, and would always seek to lift them up, even at the cost of the greater good. (So, for example, while Seberin's decision for the Orzammar succession was primarily driven by personal family loyalty, Kiriyon's choice resulted from her empathy for the Casteless). Bottom line up front: Mass Effect 3: Citadel is probably the best expansion I've ever bought for a current-generation RPG. I'm on record as hesitating to purchase Citadel, mostly because I was unhappy with the idea of playing it out-of-order. Chronologically, the expansion takes place in a late act of the game, but prior to the ending sequence. (Unlike, for example, something like Lair of the Shadow Broker, which could be played either before or after the final mission of Mass Effect 2.) I felt like I already had a definitive version of my Shepard's story, and so was reluctant to splice something into the middle. After playing through the game, I have to admit that it actually works quite well. The expansion strikes a lot of great notes, and also provides a pleasant feeling of closure and, dare I say it, catharsis. I'm trying to think of a good analogy... well, it's similar to what the TV show Lost did sometimes, when a particular character's life would end poorly, but later episodes would recall earlier, happier times with them, and thus feel more satisfying than a straightforward chronological recounting might. It's a bit like a flash-back epilogue, if that makes sense; after the story is all over, you look back on earlier times, and celebrate the lives you have saved and the community you have created. I'm kind of jumping ahead here - while there's lots of great emotional stuff in here, it's far from the only thing you'd get for fifteen bucks. So, what else is provided? For starters, there's a cool new plot with a bunch of linked missions. These aren't quite as long as Omega, but it's on a similar scale. You meet new NPCs, get to make some interesting (if not hugely consequential) decisions (including a couple of paragon/renegade interrupts), meet some new enemy types, have a cool and well-designed boss fight, etc. Even this portion of the expansion, though, is already providing lots of meat for those of us who are more invested in the story of Mass Effect. Audio logs and holograms provide lots of insight into the backgrounds of people you know, and also provide glimpses at some crucial moments of Council history. There's some fascinating stuff about the Genophage, and AIs, and even Shepard's recruitment. If someone wanted to just play through the mission, you could totally skip all of that stuff, but I probably spent well over an hour all told just plumbing the various nuggets of history and biography it offered up. This portion of the expansion is also really fun for including your whole squad (including a blast from the past). Sure, at any given moment you only have two teammates under your control, but the rest of the folks are still present in the field: you'll see them racing ahead to secure a checkpoint, or providing suppressing fire from above. And there's a lot of chatter, too... Garrus in particular has some fantastic lines to offer during combat. Oh, yeah, I should make this very clear: the expansion is funny. The actual mission isn't a joke, but the banters and dialog have what's probably the sharpest, funniest writing and line-reading from any Bioware project ever. It can draw on all we've come to know about these characters over the years, jokingly referencing their quirks and past missions, and even gently breaking the fourth wall at times. (At one point, a new NPC asks about joining the team, and says something like, "It seems to involve a lot of... getting shot at." Garrus's reply is along the lines of, "Yes, there's lots of getting shot, and shooting, and running. Occasionally there's a button to be pushed, but Shepard always takes care of that." Ha!) There are also fantastic ambient dialogs to eavesdrop on. Much later, we see the impresario who mounted that all-Elcor production of Hamlet back in Mass Effect 2; his new project is casting a Krogan as Macbeth. He mentions to his fawning admirer that he's trying to find Pyjaks for the production. Confused, she says, "I don't remember any Pyjaks in Macbeth. Unless... were they in Birnam Wood? Did the Pyjaks come to Dunsinane?" An ex-Cerberus Vanguard who ran over to activate a beacon. N7 Shadow: "That should be my job! I'm an Infiltrator, I can cloak for it!" Vorcha: "Yesssss! Infiltrator good! Also an engineer, with a drone or decoy! Or me! Because I don't die!" I have to say, I literally laughed out loud at that - it's so funny, and completely true. First of all, Vanguards are pretty notorious for doing stupid things, and since their skills are all oriented to zipping around the field, uploading a beacon is the worst thing they can do. I tend to play as either an Engineer or a Soldier, and I often try to do the activations for exactly the reasons he noted: as a Human or Salarian Engineer, I can give another target for enemies to shoot out, and if I'm a Vorcha with three stacks of Bloodlust, I can heal through it while enemies are shooting at or chewing on me. "And then later, that SAME ex-Cerberus Vanguard goes to pick up a package! And before he can make it back to the drop-off point, he loses his shields. So, what does he do? He charges!" Vorcha: "Gah! Charging bad! Makes drop package!" Shadow: "I know! If you charge, or if you activate a cloak, it makes you drop the package. So if you're going to charge or cloak, don't take the package in the first place!" I can't add anything more... because I've said all that before! Shadow: "... and then he starts meleeing everyone!" Vorcha: "Not problem! Claws good!" Shadow: "Well, it was a Banshee." Vorcha: "Nooooo! Claws bad!" Anyways. There's just so much I love about that. Partly because it makes me feel like I'm on the inside of the joke. I also love how it continues to tie in the multiplayer experience with the single-player story, and makes me feel like the missions I do in MP really are part of the galactic struggle. The highlight of this area, for me, was a combat simulator. I'd initially thought that this would be a single-player clone of the multiplayer experience; that really isn't the case, but there are some analogies. Like ME3 MP, you can select a combination of stage, enemy type, and difficulty. Completing a mission will give you a token, which you can then use to unlock other features (new enemy types, new teammates, new difficulty conditions), or cash in for credits. The maps are all wholly original, though, and are quite good; I think they would feel cramped for ME3 MP, but are a great size in single-player. I haven't unlocked them all, but there's one on an asteroid, and a really fun one on a speeding train. The best part, though, might be your teammates: you start off with access to your standard ME3 companions, but you can unlock companions from ME1 and ME2. So, for example, if you ever wanted to play with both Wrex and Grunt on your team... now you can! Or you can bring Miranda and Liara together. All of the new characters enter at your level, but haven't allocated their skills, so you can level them up however you want. So, yeah... I spent another good hour or so playing around with this. The matches themselves are fun, and as you advance in them, you start getting fan mail. People will write in and ask or challenge you to fight under certain conditions: get through a match without medi-gel, for example, or fight the Reapers by yourself, or fight Cerberus with an all-Alliance team. Accomplishing these will give you extra bonuses: higher reputation, or credits, or weapon mods, and so on. There's also a scoreboard where you can track your progress against other players (including the champion, Aria T'Loak, and James Vega). Once you max out your score (which doesn't take TOO long - I think I maybe played a grand total of five games, albeit aggressively increasing difficulty and rewards along the way) you are rewarded with a new suit of armor that I think is the best in the game. Compared to my previous Inferno Armor, this has the same boosts to power damage and recharge, but also provided some shield bonuses on top of that. The third and final aspect of the Citadel DLC is a wealth of interactions with virtually every major surviving teammate, and some touching invocations of the non-surviving ones. 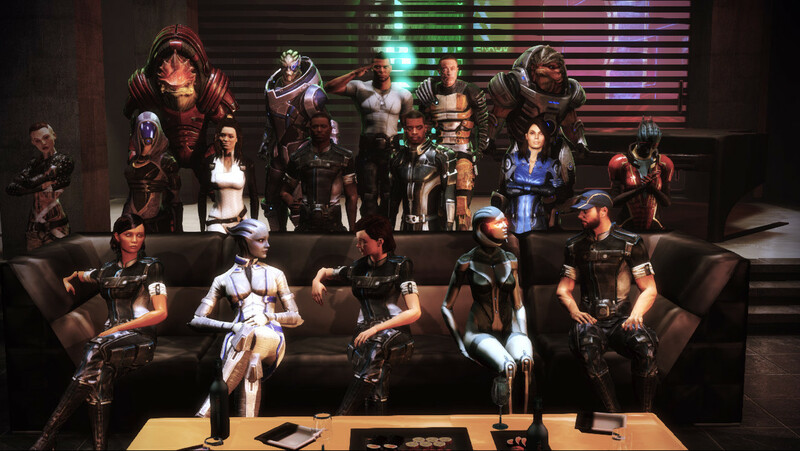 Some of these are conversations, others are outings; most are humorous, some are touching; all of them look great and nicely recall the importance of Shepard's relationships. Jumping back in time a bit: I was pretty impressed by the main action-oriented part of the DLC. I mean, the "evil twin" thing has definitely been done before, but the way they tied it in to the prologue of Mass Effect 2 was pretty brilliant. I did suspect early on that Brooks was a traitor. That's the risk of introducing an entirely new NPC at the same time you learn that there's a traitor around. I was surprised, though, to find out that she was actually the one pulling the strings, and was also surprised by the details of her Cerberus involvement. The entire third act is basically a celebration of this idea. Friends help you get things done, but they're also wonderful for who they are. I visited with each and every teammate I could, whether it was helping Samantha out-psych her Space Chess opponent, or shopping with EDI, or listening to Liara play the piano. I was delighted to see that some characters had multiple chances for interaction, which strengthened the impression that your relationships are continuing to grow and deepen. I was actually a bit surprised by how some of them made me feel. I never particularly liked Zaeed in ME2, but knowing that Robin Sachs has passed away made his sections here incredibly touching. The highlight, of course, is the party. Ah, the party! I had the feeling that this would be my capstone, so I put it off until after I had exhausted all of the various invitations and outings and things. I invited everyone. (Well, everyone I could - since I haven't purchased all DLC I don't have Kasumi or Javik.) Things started out pleasantly, with quiet music to support conversation. Jack and some of the guys seemed a bit bored, but people were having a good time. Later, we turned it up a notch and people started dancing. (Tangent: I love Glyph's bow tie!) They start getting drunk and silly. Grunt has a ton of fun turning people away from the door. Zaeed starts hitting on Samara, who seems fully bemused. James and Ashley starts falling towards a hookup. I encouraged Joker to dance with EDI. A bigger party breaks out in the kitchen, and everyone laughs when Shepard jumps in. (I seriously don't get why everyone thinks her dancing is awful. Sure, it isn't great, but I don't see anything wrong with it.) The evening ends in delightful chaos: Grunt, fully inebriated and virtually comatose, crouches muttering in the shower; James and Ashley corner one another to whisper sweet nothings; Traynor is mortified by the realization that EDI remembers everything she said back when she thought EDI was just a VI (and there's at least a suggestion later that EDI may have kind-of cheated on Joker [not that I think he'd mind (especially if she continued to keep logs)]); and eventually the whole gang stumbles together so Glyph can take a photo of the whole group. I loved that they included the morning after as well. Waking up in bed was nice, but the arguable highlight from the whole expansion was finding, on the floor, a datapad with recordings from Moridin. They were absolutely hilarious, and end on an extremely touching note (literally) that nearly brought tears to my eyes. Of course it's impossible to interact with Moridin, and I was so happy that they came up with this terrific way to honor the character and remind us of his awesomeness. Otherwise, the morning after seems entirely like what you would expect. A bunch of hung-over people are quietly clustered in the kitchen, watching James cooking scrambled eggs for everyone. A few hard-core people, Jack and Jacob, are up bright and early exercising. A few people are quietly distraught at what they might have done the night before, or are trying to remember exactly what happened. For the most part, though, everyone is happy from the great party, and just wish that people wouldn't talk quite so loudly. Returning to the Normandy, you stare at the ship through the windows, and share a few words with your loved one. There's really nice music here. You see all your friends clustering around, watching the view, enjoying a moment of quiet before rushing off to save the galaxy. It's a quiet moment, a happy moment. I'm delighted to have it as my final memory of the Mass Effect trilogy. In case you're thinking of playing the expansion in-line with the rest of the game, I think that would work fine as well. It's a major positive beat before the frenetic pace of the end-game, so I'd suggest taking the time to savor it. (I also think that certain elements of it can be spread out; I kind of did all the interpersonal stuff back-to-back, but you can probably weave it in between other missions if you'd prefer to break it up a bit more.) The rewards are pretty good, too. There are some new weapon mods and weapons, including a flashback to a ME1-style weapon that uses an overheating mechanic rather than thermal clips. You pick up some new war assets from completing the missions (including the more social missions). And, perhaps most intriguingly, I think that this gives you a way to legitimately acquire an endless supply of credits, thanks to the repeatable combat simulation. For power-gamers, that would be a great way to do stuff like acquire all the Spectre weapons or to max out your upgrades. On the issue of screenshots: this is rather embarrassing to admit. I had gotten used to my screenshot technique for DA2, and had thought I was taking some screenshots throughout the game, only to remember too late that I actually can only do screengrabs for ME3 by using FRAPS. So, I ended up taking a bunch, but as is sadly typical for me, they're all from near the end of my time with the expansion. These are all very spoilery for ME3, and for the social stuff at the end of Citadel, though they shouldn't reveal any plot from the main Citadel mission. So, yeah. Phenomenal DLC. One of the best ever. It's also tremendously encouraging to me because it helps show that Bioware listens to their fans. Coming so soon after playing the Dragon Age 2 DLC, which pretty directly addressed and fixed the game mechanics from the main campaign that people had complained about, this seemed to continue my experience of good-but-flawed games being made better after the fact. Knowing that they're capable of telling stories this well, of hitting such great emotional points, makes me increasingly enthusiastic for what might be coming in the future for Dragon Age 3 and whatever comes next in the Mass Effect universe. Man, I really should have waited another 12 hours before publishing my last Kickstarter post. Two big bombshells dropped that have direct relevance: a revelation and a promise. For starters, Harebrained Schemes released their first look at a running, alpha version of the game. They run and talk their way through a good chunk of a mission, chatting along the way about what we're looking at, the various systems being demonstrated, what's particularly cool, and so on. I highly recommend checking it out if you're interested in the project. It looks surprisingly good for a relatively low-budget game... details like the Seattle rain add a ton to the atmosphere, and I love how the character designs look. That combination of simple model and detailed facial portrait was magic for games like Baldur's Gate (and, yes, Planescape: Torment), and I think it's a really smart direction to take. Almost immediately after releasing the video, Harebrained announced that they were allowing backers to upgrade their pledge levels. I thought that was interesting. I'm not sure exactly what to make of it. Obviously since it's just optional, anyone who wants to give them more money will presumably be happy with the opportunity. Though, I suspect that the upper tiers that involve creating new NPCs or items or the like may feel less integrated if they're claimed at this stage, rather than prior to development. It does seem like a "safer" move to make now than it was during the initial pledge phase; now that they've brought the game to, say, 80% completion, backers have much more confidence in the success of the project and a much clearer idea of what the actual game is. But, as far as I can tell they're only allowing the increases of pledges, not newcomers, so people have already voted with their wallets; it would be more discouraging if someone could come in 18 months later and get the same reward as a day-one true believer. From Harebrained Schemes' perspective, there's a pretty clear advantage to re-opening pledge levels: it increases their funding, and gives them more money to finish the game. I imagine that's a good thing... if it lets them devote more resources to QA, and to polishing, and to creating sample missions, and all the other stuff that makes the final product sing, then that's all good. A separate Kickstarter was also announced, one that I had a hunch would be coming soon: a new game from Richard Garriott, creator of the Ultima franchise and one of the godfathers of both computer RPGs and PC games in general. I'd signed up a few days ago for a "secret announcement" type thingy; it seemed clear that it would be for a new game, and I was right in suspecting that it would involve Kickstarter. I'm a bit ashamed to say that I haven't [yet!] backed it. I regularly cite the Ultima series as the most formative series for me, as well as one of my favorites; I have particularly strong affection for Ultimas VI and VII in particular. There are so many things that Garriott trailblazed. Zork predates Ultima, but Ultima pioneered applying a D&D-style rule-based system to a computer game; it had some of the very first graphics ever for a PC game; Ultima was one of the first games ever to tell a story (you'd be hard-pressed to find an actual story in the original Zork); Ultima IV was arguably the first game to actually explore deeper issues like morality; Ultima Underworld was the first FPS RPG, and was years ahead of its time with features like FPS companions, NPCs, and true three-dimensional levels; Wing Commander was one of the first games ever to use full-motion video; and Ultima Online, while not the first MMO, was the largest of its time and popularized many genre tropes that are still in use today. That said, Garriott has been largely out of sight for over a decade. He was sadly a pioneer in yet another way: building an awesome gaming company that was acquired by EA and then absolutely ruined. It's a story that has been repeated countless times since: EA insists on churning out games at a faster pace; they release games in buggy states; a franchise loses its way, feeling rushed and with a weaker story; over time, your love for the great franchise starts to dim; sales fall as gamers turn away from the increasingly poor releases; and, finally, EA kills off the company. Origin was the first, and since then we've seen it repeated with Bullfrog, Maxis, Westwood Studios and Mythic, and we're all praying that Bioware escapes that fate. Since leaving Origin/EA, Garriott is mostly known for creating Tabula Rasa, which unfortunately is best known as a fascinating failure of an MMO. Initially envisioned as a means to link together Eastern and Western players, it massively overshot its schedule, releasing after about six years in development and closing down two years later. Well, actually, Garriott is probably best known now for non-gaming purposes: being the first commercial space passenger, and the first second-generation space traveler, and building elaborate mansion castles. So, while I'm profoundly grateful to Garriott for all he has contributed to the field of gaming, I'm not feeling terribly optimistic that he will deliver a great new game. Other successful kickstarter projects have become successful by essentially promising a second version of something people love. Torment is a great example of that: it's set in a different universe and based on a new rule-set, but everything about the project's promotion specifically references the terrific, groundbreaking things the team did in Planescape, and promises to deliver an experience that will make you feel similar to how you felt playing that earlier game. (Adam Heine put this very well in a comment on a recent Kickstarter update. The update made some vague references to how the game would treat relationships, which is a matter of intense concern among some fans. After frantic posts worrying about exactly what this meant, Adam wrote, "When in doubt, you can usually assume we will do things like we did in PST." That's a good line, and also something that should really help soothe the neurotic concerns that tend to bubble up whenever you treat an update to a beloved property.) Shadowrun took an opposite approach: they wanted to significantly modify the gameplay (modern graphics, no matrix, user-created missions), but kept the setting virtually identical (old-school Shadowrun set in the 2050s, instead of the more updated 2070s or a re-adjusted future based on today and not on projections from the 1980s). Again, people who had played the old Shadowrun console games or the pen-and-paper RPGs had a great feeling for the setting, and could back the project in the hopes of being able to re-visit that universe. In contrast, after reading through the kickstarter for Shroud of the Avatar, watching the videos, and scanning through a few interviews, I'm still a bit baffled at what exactly the game experience will be like. I don't fundamentally "get" what he's proposing here... so, it's a multiplayer game, but it can be played offline as well? And it's a shared, persistent world? But we'll only encounter a few people at a time? And we'll pay taxes (with real money) on properties we buy? Garriott built his reputation on innovating, and so it does make sense that he would be trying something new and unique that hasn't been done before. It may even be awesome. But personally, I tend to process new things by mapping them back onto things I've previously encountered, and I'm having a hard time understanding what he's going for here. It would be easier for me if, say, he wanted to make a new single-player game set in Brittannia; I would probably back that in a heartbeat. But, Garriott no longer owns his own creation, since he sold it to EA, and thus he can't make a new game set there. I would also go for a game that invoked Ultima VII: a party-based game, set in an open fantasy world, played in a third person overhead view, with an intricate plot, and fairly modern graphics and sound. And while I personally wouldn't back an MMO, I'm sure there would be a huge audience for people who miss UO's lived-in world, which promoted community and ownership over the WoW model of stat advancement, grinding, and clans. I'm definitely watching this campaign with interest, and I dearly hope that it turns out to be a terrific game - I'll be one of the first to buy it if it does. It's kind of hard for me to back right now, though. To be honest, the game also suffers from poor timing. I imagine that Garriott has been planning this for a while, hence the Lord British secret announcement mailing list and such. However, since it was announced only a few days after Torment, I think a lot of oxygen had already left the room. For starters, Torment was a huge success story: the fastest Kickstarter to ever hit a million dollars (even beating the Ouya console), and on pace to become one of the best-funded game projects ever (currently at #6 in Gaming, with more than three weeks left to go). Shroud of the Avatar has put in very respectable numbers, but as of this writing they haven't yet reached their one-million-dollar goal; I'm sure they'll hit it, but it hasn't exploded like Torment did. There may be some overlap between the games, too, so people with limited Kickstarting budgets who already pledged for Torment may be more reluctant to back Shroud of the Avatar as well. The games aren't all that similar: Torment is proudly single-player ("There is no total this Kickstarter could reach that would lead us to implement multiplayer"), and will take a novelistic approach, while Shroud of the Avatar is... some single/multi-player hybrid thing? Planescape: Torment came out in 1999, while Ultima's most celebrated games spanned the 1980s to the early 1990s, so I suspect Torment's target audience may skew slightly younger (though the enduring popularity of Ultima Online may somewhat equalize those demographics). Still, both games are fantasy RPGs, and in that respect they are conceivably fighting for the same entertainment dollars. Still... as I said in my previous post, one of the things I love most about Kickstarter is the collegial atmosphere it fosters, not just between creators and backers, but between creators. You might think that inXile would get miffed that Garriott jumped in while their campaign was running, or Garriott might be bummed that Brian Fargo stole his thunder. I don't know what they think in private, but in public interviews both leaders are respectful and appreciative towards one another, claiming to be pleased at each others' successes. Anyways. It reinforces my ideal of the Kickstarter model being about focusing on creativity rather than competition, and growing the pie so everyone can feast on the long tail. Erm, that metaphor may have gotten away from me. Regardless: while I'm not backing the Shroud campaign at the moment, I'm delighted it's running and pleased to see it doing so well. Hopefully people with more vision than me can help join in and make it succeed. Way back when I first started reading Roberto Bolaño, I was under the impression that he had only written two novels: 2666 and The Savage Detectives. I read them in the wrong order, and figured I had read his entire (prose) body of work. It was not so! I've since learned that he actually wrote several books; it has just taken time for them to get translated into English, and since he didn't start to become known in the United States until after his death, there hasn't been a clear understanding of what he has written. I've peeked at a few reviews from some of the more recent books published, and get the impression that those first two novels are his masterpieces. Not to say that the other books aren't good, but I don't think any of the other books have the same epic size and scope. Still, Bolaño is Bolaño, so I happily grabbed a copy of Woes of the True Policeman when I saw it at my library. When I read the very first chapter, I thought, "I've read this before!" One character is explaining to another how to categorize poets, and using a startlingly fine-grained (and probably offensive) taxonomy of sexuality to divide them. It's funny, and surprising, and was uncannily familiar. I still can't place exactly where I first read it... it seems like something that would have come up in The Savage Detectives, which was similarly obsessed about poetry, but it could also have been a stand-alone extract from the New Yorker or something similar. WotTP has some other similarities and overlaps with other Bolaño books. Stylistically, it is more focused than 2666 or TSD, but it seems to follow a similar emotional arc: starting with a sense of humor and fellowship, with various people meeting and pursuing common interests; then gradually getting drawn farther north, towards the increasingly sinister city of Santa Teresa, as a sense of unease slowly grows up around the characters. There are some splashes of unexpected violence, but oddly mediated violence, in such a way that it colors our perception of the world while leaving the protagonists unbroken and vulnerable. There's also a good amount of crossovers and cameos between the various books. I'm increasingly coming to understand Bolaño's stories as a kind of shared universe, not entirely unlike what you find genre authors writing, where characters and incidents from one book will play supporting roles in another. (My favorite example: the meaning of 2666 itself can't seem to be found anywhere within the eponymous novel, and instead, the best description we get is buried near the end of The Savage Detectives.) The main character of this novel, professor Amalfitano, has appeared in other books by the author; and the author who he translated, Arcimboldi, was a significant character in 2666. While we don't see any of the Visceral Realists in WotTP, we do learn about many poets (some true, others fictional), and I'm pretty sure that there's at least some overlap with the fictional poets that were introduced in TSD. I recognized a few other shared elements as well, like the bullfighter and the long line of Maria Expósitos. Amalfitano is the main character, and he's quite likeable. He seems like a gentle person, a man who has endured physical pain and emotional loss and continues to make his lonely way through the world, mainly motivated by a desire to provide a better life for his daughter. He's certainly no saint; I loved the section that describes all his enemies, and he can certainly be dense or condescending at times. Still, I kept hoping that he would be able to build a secure future for his family while also finding some happiness for himself. Most of the other characters, apart from Rosa, only appear briefly and aren't quite as deeply drawn, but still manage to say or do something evocative that lingers in your mind for a while. The farther you get in the novel, the more loosely the characters seem to be connected with Amalfitano, and you spend more time hearing foreboding stories about ancient sins committed in Villaviciosa, the dreams of police officers, and other increasingly strange encounters. The book ends on a profoundly melancholy thread. Perhaps more ominous than melancholy. It feels like many dangers are hovering over Amalfitano; we don't know if any of them will strike, or what would happen if they did. He seems to have avoided the risk of AIDS from Padilla, but that liaison and his current ones might cause him to lose his posting, which seems to clearly be the last refuge he can find. The policeman is hovering over his movements and infiltrating his life... but seems weirdly passive, like he won't actually disrupt Amalfitano's life, but instead will leech the goodness from it. Pancho... I can't figure out Pancho, who seems to want so badly to impress Amalfitano, and then becomes extremely suspicious. Pancho could kick out Amalfitano, or tap him to direct the school's next musical. Pedro seems like a man capable of causing trouble, but Amalfitano seems below his interest. And what about Rosa? She already seems to be slipping away, abandoning their shared bond of books for a solitary love of videos. I'm not sure of the chronology of the book, but one of the sections ends with her disappearing in the company of a black man, and I wonder if that's actually the last event to take place in the book. Given all we know of Santa Teresa's horrors from 2666 - and, in fact, we do get an abbreviated glance at those horrors even here - I shudder to think at what might lie in her future. 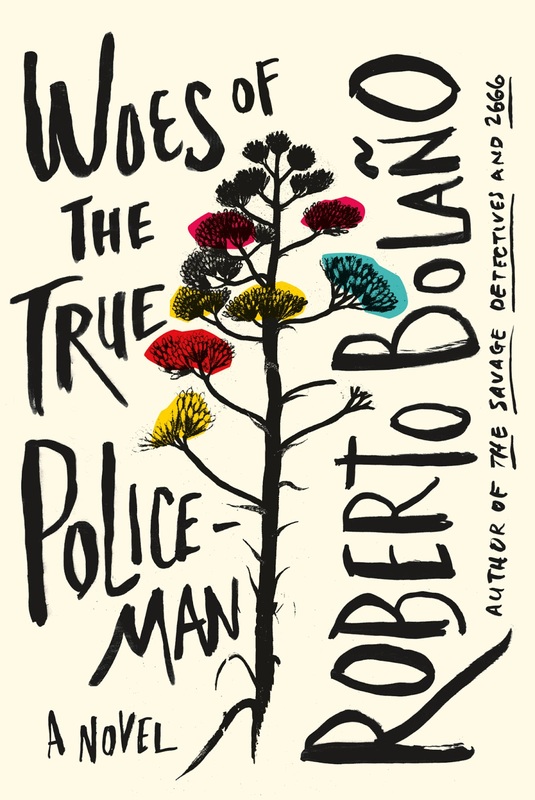 According to a note at the end, Woes of the True Policeman wasn't completed at the time of Bolaño's death, but was at an advanced state of revision. They were able to see the history of computer revisions and edits he made to printed copies to understand the progress of the novel. What was published here reflects the "final" state of the book as he left it, with only very minor editing. I get the impression that the final work might have been a bit tighter, but would have been very similar in form. I really enjoyed this book. It doesn't reach the transcendent heights of 2666 or The Savage Detectives, but it's a far more accessible introduction to the world he created for those books, and it's also of interest to fans who want to see more of some elements from the longer novels. Time for a return to one of my periodic fascinations: Kickstarter campaigns! A new computer game kickstarter has kicked off, and it is blowing up. Torment: Tides of Numenera aims to be a spiritual successor of sorts to Planescape: Torment, one of the strangest and most-beloved RPGs of all time. It's set in a completely new fantasy campaign setting, and reunites a significant part of the team that created the original PS:T game. It raised its $900,000 goal in six hours, and is floating around two million as we speak. I'm sure it will slow down as the month progresses - there's a lot of pent-up demand for more Torment, and the most enthusiastic fans hurled themselves into its gaping maw at first opportunity - but they already seem set to blow through all their currently defined stretch goals, and could easily become the most-funded computer game on Kickstarter if they keep it up. I'm holding out hope that they'll be able to hire Jennifer Hale, Michael Weiss, and the other fantastic voice actors from the original game to play new characters here. The culture around Kickstarters is really cool and encouraging. The thing that has surprised and pleased me the most is how fraternal it is. Torment is being run by a small company called inXile. The currently best-funded game project on Kickstarter is Project Eternity, which is also a spiritual successor to a beloved game from the late 90s/early 2000s, and that's run by another small company called Obsidian Entertainment. You might think that the two companies would be competitors, or at least rivals. However, that's not the case! You can see that each company has helped fund the others' games, and it's really cool that one company's CEO is the lead endorsement on the other company's project. I also love how Kickstarter encourages companies to share insight into the game-development process with their backers. This isn't that unusual - I'm sure that an investor would also get access to internal development procedures - but since we funders are also fans, we get to focus on the really cool and interesting aspects of development. It's in the company's interest to keep us informed, too... as they enjoy saying, we're not just the backers, but we're also the first wave of marketing. Keeping apprised of evolving feature sets and milestones helps us manage expectations while maintaining excitement. Many of the major Kickstarter games were scheduled to ship in 2012, and none of them did. That really isn't the fault of the developers, more a weird quirk of the impact of successful campaigns. Due to the nature of Kickstarter, companies are incentivized to set initial goals for the smallest achievable game they can make. This is basically something equivalent to an iPad game: nice-looking and fun, but with fairly shallow gameplay. As they exceed the goal, new stretch goals continue to expand the scope of the game. New characters! New areas! New classes! New quests! Mission editors! Multiplayer! Suddenly, what was a nine-month project has ballooned into a year-plus project. The end result will be cooler, but it's our own generosity that made them miss their target. As a programmer, I know well that you can't save time by adding people to a project. This does seem to be a minor but increasing complaint in the kickstarter community: "We gave you so much money, why don't you just hire more people?" They often do hire more folks - and, again, the developers are remarkably transparent in explaining what kind of people they bring on and why - but beyond a certain point, adding additional people will just slow down the project even more. You can't make a baby in one month by adding eight more women. It's been very cool to see how some developers are looking to improve their schedules by crowdsourcing other aspects of the game, beyond the initial funding. inXile has had surprising success in sourcing art designs for its games by turning to the community. Basically, they will post a description of the sort of thing they've looking for (grimy gun turrets, patched-together water tanks), give designers ten days to come up with models, then pick the ones they want, pay the artists, and give the artists credit within the game and let them retain the rights to their creation. This seems like a huge all-around win, and also a potential boon to future game creation projects. inXile can tap a flexible resource without needing to ramp up an in-house modeling team that would likely get laid off in a few months; aspiring artists can break into the gaming industry; and truly dedicated fans can contribute in a creative way to a property that they really enjoy. Along similar lines, one of the early ideas of Shadowrun Returns has been allowing fans to build their own missions for the game. This nicely evokes the pen-and-paper RPG roots of the Shadowrun setting, where creative GMs would design their own adventures to send runners through. However, it could also turn out to be a brilliant piece of strategy for Harebrained Schemes. If several user-created missions are already available at launch, then Shadowrun Returns will automatically become a longer game, with more stuff to do, and hence potentially more valuable to future buyers. The developers recognize the importance of a strong mod/creator community, and have provided early looks at their mission-creation tool, offered direct access to developers so we can ask our questions and plan our creations, etc. I've gotten increasingly excited about the possibilities here, and have started fooling around with some mission ideas of my own. Who knows if anything will come from my efforts, but between the thousands of passionate Shadowrun fans out there, I'm sure some great stories will be told. Finally: I've been saying for a while that Kickstarter is a fascinating concept for crowd-sourced funding in general. So far it's been a successful model for funding movies, books, music albums, independent films, and board games. I'm hopeful that, in the next 3-6 months, it will also be demonstrated as successful for funding major (albeit not AAA) computer/video games. In the entertainment realm, it would be fascinating to see if you could successfully crowdfund a major property: a new season of Community, Terry Gilliam's Don Quixote, something like that. I've paid less attention to non-entertainment initiatives, but those are actually more interesting and encouraging in the long run. The most famous of these is probably The Oatmeal's hugely successful effort to build a goddamned Tesla museum. That just warms my heart: nerds all around the world opened their wallets to help pay a belated tribute to one of the bestest nerds of all time. And, speaking of science-related crowdfunding initiatives: my friend E. A. Quinn is a biological anthropologist who is helping to lead a field study in Tibet later this year. This is some terrific pure research, gathering data on a subject that we don't know much about (how altitude affects a mother's milk). If you have a few dollars to spare for science, I highly recommend tossing some her way! No, you won't get early access to a level editor or a downloadable digital soundtrack, but you WILL get to expand our species' collective knowledge of itself and be officially credited as a supporter of this study and receive a beautiful journal of the published results! Microryza will accept donations as small as $2. Come on and do it! For SCIENCE! I'm sadly quite ignorant when it comes to the world of poetry. I do have a few favorites, most notably W. S. Merwin, but I just don't read that much poetry and don't understand much of what I do read. That said, I do have a lot of respect and admiration for poets. I sometimes think that they are the truest artisans of the literary world, with the greatest skill at making words sing. One of the poets I admire from a distance is Andrew Motion, the former Poet Laureate of the United Kingdom. In the US, the title Poet Laureate is mostly honorary: we choose a new poet every year, primarily to honor their past contributions to the field. In the UK, it has historically been a lifetime appointment, similar to a Supreme Court appointment in the US, and it's an office with actual duties: the Poet Laureate is expected to write poetry commemorating particularly significant occasions, such as royal weddings and military victories. I was fortunate enough to briefly meet Mr. Motion when he visited Washington University and attended a reception the English Department hosted while I was a student there. He seemed to be a wonderful man, very talented and charming, and I greatly enjoyed hearing him reading from his own work. I've kept loose tabs on him in the years since, and was surprised and pleased to hear about an unusual project he has released: a sequel to the Robert Louis Stevenson novel "Treasure Island". Titled "Silver: Return to Treasure Island," this novel is both a tribute to and a fitting sequel to the original story of adventure. It's been ages since I read Treasure Island; I think I was probably in elementary school at the time, and haven't re-read it since. However, thanks to the book's enormous presence in our collective imagination, and frequent source of homage, parody, and adaptation, the story has remained very fresh with me. It was a great pleasure to become re-acquainted with so many elements from the first book. Within the context of Silver, the events of Treasure Island are already a storied memory, and so when characters recall Billy Bones or Israel Hands or the cabin on the island, my own memories of those elements leap across the years, suddenly becoming fresh once more and reuniting this adult reader with the child reader who first encountered them. Stylistically, the book is very well written. Motion doesn't exactly try to copy Stevenson's 19th-century writing style, but writes in a clear, warm style that uses idioms which feel evocative of the era. This book uses a different narrator, and is set more than thirty years later, so this feels like a natural evolution. While it's certainly a novel, I think Motion's talents come through quite well: the language is quite beautiful, and Motion often chooses the perfect word; he has a particular gift for capturing the tender adolescent longing of the protagonist. There are also a handful of places in the book where characters sing, and I suspect that these verses are original creations by Motion. Silver follows the story of Jim Hawkins, the son of Jim Hawkins from the original story, and Natty Silver, the daughter of Long John Silver. After opening in London, where the two encounter and we meet their elderly fathers, the book eventually heads out to the open sea and the titular return to Treasure Island. We have some of the same general movements as the original book, and the characters here are aware of the ways in which they're following their predecessors' footsteps, but the plot and personalities are different enough for this to feel more like a sequel than a retread. The world has changed quite a lot in the decades since Treasure Island: navies have mostly removed the threat of pirates from the Caribbean, and sailing in general is safer than before. However, there are still evil men in the world, and other institutions at least as bad as piracy. I was impressed at how well Motion was able to recapture a sense of danger and outrage even in a more elevated world. Characters in the book are all well-created. Even the cameos from the first book, Jim Hawkins Sr. and John Silver, are rather different from how we would recognize them: events in the years since Treasure Island have changed them, altering their personality or transforming their drives. Many of the minor characters are rather briefly sketched, but we still feel like we know them well: the awkwardly loyal Bo'sun, the diligent lookout, the bubbly cook. There's a particular affection for the captain, who ends up being possibly more of a father figure to Jim than his own father is. I really liked how the book portrayed their relationship, which is formal and respectful yet genuinely kind. The core relationship, though, is that between Jim and Natty. Much of this remains unsaid, partly because Jim isn't sure how to convey his feelings, and partly because a few words go a long way in expressing it. Natty spends much of the book in disguise as a boy, adding another layer of separation between the two, which adds a slight note of comedy to their situation while simultaneously heightening Jim's protectiveness. Natty herself is a great character: absolutely not defined in relationship to Jim, she is instead often the main driver of the action, plunging ahead with boldness and trusting Jim to keep up. I'll be curious to see if Motion writes any other sequels to this story; he definitely leaves this book at a point where it could be continued further. If so, I'll be eager to follow it. This was a fairly light read, and an enjoyable one, nicely blending fine writing with an adventurous story. If your heart was ever stirred by Stevenson's original tale, you might enjoy reading this as well. Okay, I said I was done with Dragon Age 2. I'm done with the game, but I had enough fun playing through it that I wanted to get caught up on some of the ancillary pieces of fiction floating around out there. I've stayed away from all this stuff up until now, out of a desire to avoid spoilers for the game. First up: Dragon Age: Redemption! Like I said before, Felicia Day's involvement in Mark of the Assassin was possibly the single greatest factor in convincing me to pick up DA2 after all the disappointing things I'd heard about the entry. Her involvement wasn't limited to that game, though: she also wrote and starred in a web series called Dragon Age: Redemption. 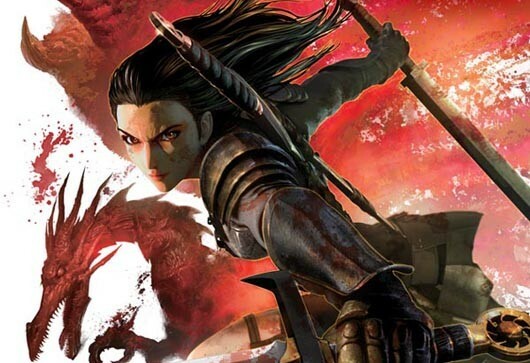 It's a prequel to Mark of the Assassin, and gives some additional background to her character Tallis. If you're considering picking it up, it does contain a few elements that are introduced in DA2, but it doesn't spoil any plot from the main game or the expansion. You can probably do them in either order. Felicia was one of the first pioneers in creating web series, and I believe that The Guild is still one of the most-watched online shows ever. She didn't direct or produce Redemption, but I imagine that her experience in telling a compelling story over short chunks with a very limited budget helped a great deal: the series manages to be surprising, exciting, funny, and impressive, even with minimal CGI. One of the things that impressed me most was how well Redemption integrates Dragon Age's lore. It seemed clear that it was written by a fan who knows the setting and character of Thedas well. Without belaboring the point much, it captures a lot of things like the precarious position of mages, the tension between the various races, and the ominous threat of the Qun. It even manages to work in some of the major character specializations of the game: you can see a templar, a reaver, an assassin, and so on. I mean it as a compliment when I say that the fights in the series reminded me of the fights from the video game: a templar uses his skills to disable a spellcaster, melee fighters help draw aggro to protect a weak healer mage, a rogue dashes into the fray and generates burst DPS against the boss. It was exciting to watch, and also tapped into a lot of residual excitement I feel about playing the game. The dialog was also very well written. It seemed a bit like a hybrid of David Gaider and Joss Whedon, which sometimes seems a bit odd. I don't generally think of Dragon Age as being very quippy; but, the more I thought about it, characters like Varric and Alistair do joke around and use one-liners, so it's not unprecedented in the world. Tallis is great fun to watch, and comes across as very flirty and deadly. That being said, it still fits within the framework of a dark fantasy, with plenty of tragedy sprinkled throughout. The prequel helps fill in Tallis's history a bit more, but not completely. We know that she was a slave before she joined the Qunari, and that she had previously been punished and demoted from her position as Tallis. I'm still not clear on whether she actually trained to be an assassin from within the Qun, or if she had those skills from her time as a slave and offered them to her new leaders. For a little while, I thought that the templar was named Carver, and thought that we were witnessing side-story to Mage Hawke. I was wrong, though. It's Cairn. I really liked how his and Tallis's relationship developed... it seems very modern, but also very in keeping with their characters. Nyree was awesome. Reavers rule! I loved all the nice little ways in which this story tied in to Dragon Age 2. Sundermount even had the altar in the graveyard that you see in the game. The rip in the fade seemed very believable, and quite in keeping with what we saw in the Blackmarsh in Awakening. The special effects seemed very judiciously used, getting maximum impact for fairly small investments. The glowing hands for magic worked quite well, and I adored how Nyree's eyes glowed when she transformed into Reaver mode. The fade rip and blood magic in the climax were also quite impressive; perhaps not quite cutting edge by today's standards, but much better than we would have seen in movies even a few years ago. I was also very impressed with the subtle and effective illusions they used to establish characters' heights. The elves seem to be as small as they should, relative to humans, and the Qunari looms large. It was a little sad to see Cairn die at the end... but I imagine that Tallis has loved before, and will love again. She didn't seem to be in mourning when she kissed Selene, after all! I do wonder, though, just how honest she was with Hawke during MotA. She makes it seem like she has the trust of the Qunari in following up this threat, but given that she deliberately failed her mission here, I have a hard time imagining that they would give her free reign like that. More likely, she's either holding information back from her leaders (which would break, like, every part of the Qun), or she's over-stating her position to Hawke. And next: Dragon Age: Dawn of the Seeker. This was an unusual project. Funimation made an anime movie based on Bioware's property and with their full cooperation. I splurged for the Blu-Ray, which was a bit oddly packaged: it comes in a three-disc set, but the other two discs are the English and Japanese DVDs, respectively. I generally tend to watch anime in Japanese with English subtitles, but considering how Dragon Age is an English/Canadian creation, I figured the English dub would be fine. The animation looks really good. I haven't kept up with anime for the last few years, so I can't really compare it to other contemporary movies, but the picture quality is better than any non-Miyazaki movie that I've seen. Motion is particularly fluid, without the jerkiness that you can often see in cheaper animes. Some scenes that focus on particular creatures, like an insect or a reptile, are practically photo-realistic, so accurate that it's hard to believe it's animated. They make the wise decision to keep the human characters somewhat cartoony-looking, though, so there's no Spirits Within-style uncanny valley effect. The style sometimes looked a bit unusual to me; in particular, the way shadows draw on characters' faces took some getting used to. The art direction as a whole is pretty interesting. The artists are clearly working off of the actual Dragon Age designs, and their creatures are instantly recognizable as their in-game counterparts, but they don't just slavishly recreate the character models: this seems more like an interpretation of the same idea. For example, you can immediately tell that the Ogres are Ogres - they have the same height, and horns, and similar-looking faces - but there's a bloodier look about these Ogres, like they've just finished feasting on their enemies. It's touches like that which elevate the movie from feeling like a straight rip-off of the game, and an actual piece of art instead. Not all the changes are good, though. Mages are one of the most important villains of the movie, and their representation is highly odd. First of all, they all seem identical: except for their leader, all of them have the exact same black cowl, pulled over their heads, and identical staves. The staves are strange, too, unlike anything I've seen in any Dragon Age game: they're more like scythes, with sickles on the end. As if that wasn't odd enough, they seem to primarily fight in melee, slashing at people. This is really weird, since we know that they can cast magic. From the way the movie portrays them, a viewer might think that "mage" is another type of race or species, rather than an individual who can access magic. There's a group of ogres and golems that surround the heroes at one point. That's VERY strange. Have you ever seen them on the same side before? And why would they obey blood mages? I suppose it's theoretically possible that a powerful blood mage could use Blood Control to compel an ogre, and it's theoretically possible that they might have found several dozen golem control rods to animate the golems. But it's still hard to explain. I'd find it much more likely for blood mages to summon undead, or compel an army of humanoids. One scene shows a very Catholic-looking confessional booth, complete with screen. Now, to be sure, the Chantry is pretty obviously modeled off of the Catholic Church, and a Chantry building looks similar to a Catholic building (rows of pews, altar up front, etc.). So maybe there really is a tradition of confession in the Chantry. It seems a bit odd that it wouldn't have come up before now, though. If the lore was slightly disappointing for me, though, the character of Cassandra more than made up for it. She was awesome, a phenomenal presence on the screen, who goes through a pretty believable transformation throughout the course of the story. She's also an incredibly talented fighter, and the most visually enjoyable parts of the movie are the scenes where she's fighting some great evil monster. 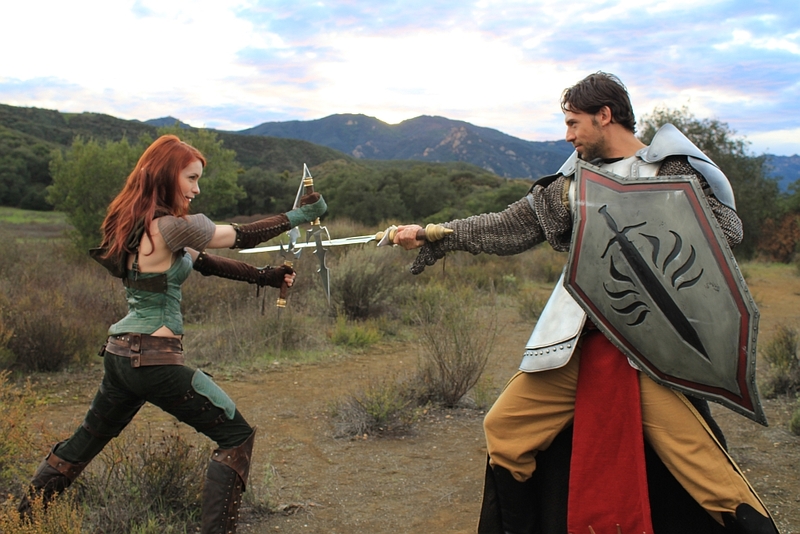 Much like Dragon Age 2, Dawn of the Seeker is based on a conflict between the Chantry and mages, and more specifically between the Templars and apostates. Early in the movie, it seems overly simplified, with far too many blood mages who are all presented as uniformly bad. It does gradually get a bit more complex as the story continues, though, and we meet Circle mages and get a better view of the tensions they endure. Cassandra initially comes off rather like Fenris, unwilling to compromise her hatred for all mages, but over time she grudgingly comes to accept their role. Chronologically, Dark of the Seeker is set after the end of the events depicted in DA2, but before the start of the framing device with the interrogation of Varric. There isn't much explicit overlap between the two, but at one point Cassandra does mention the importance of preventing another incident like Kirkwall. I liked her in this movie much more than I did in DA2, which only makes sense... in DA2, her only role was to question and threaten Varric, which doesn't exactly give her much opportunity to show off her personality. The movie does make me retroactively like her better in the game, though... I have a better understanding now of her relationship to the Chantry and her motivation to heal the rift with the Circles. Other highlights of the movie for me: I loved seeing Val Royeaux, which looks absolutely stunning. I hope we get to visit here in DA3. It may be another case of cribbing too closely from the Catholic Church, since it did seem pretty close in many respects to St. Peter's Square, but the scale and look of it is pretty stunning. I also liked the insight into the upper levels of Chantry leadership: seeing the interplay between the Divine, the clerics, the Knight-Commander of the templars and the Lord of the Seekers of Truth was pretty interesting. The disc comes with a few special features that are brief but interesting. There's some great artwork that shows how certain concepts evolved; there's an early drawing of Cassandra with long tresses in front that looks really fetching, although I think her final ponytailed design is much more appropriate for the character. I fast-forwarded through a lot of the creature designs, but the segment ends up with some environmental concept drawings that are stunningly well-drawn. There's also a tour of Bioware's studios. Everything in here is fascinating, and I just wish it would have been longer... in particular, since I've come to recognize the names of many of Dragon Age's writers, I would have loved to know who specifically was shown in that room. My recommendation for Dawn of the Seeker is more qualified than for that of Redemption. It's a slicker work, and looks fantastic. The story is pretty good, but its treatment of Dragon Age lore sometimes seems confusing or a bit off. That said, the character of Cassandra is one of my favorites from any medium of Dragon Age, and it might be worth picking up just for that. I don't know if I could necessarily recommend either movie to a neophyte to Dragon Age. I think both projects make a good effort to stand independently, containing within their exposition everything you should need to know in order to follow the plot. However, the fun from the movies comes from the extra light they shed on the world of Thedas, and I still think that the games are the best way to first encounter this world. The disc of Dawn of the Seeker came with a downloadable code for The Silent Grove, the latest Dragon Age comic. I was mildly bummed to see that this only included the first issue. On the other hand, the remaining issues only cost 99 cents each, so I might pick up the rest of the graphic novel at some point. Or maybe not. The story is written by David Gaider, one of the main creators of the world of Dragon Age, phenomenal writer, and all-around great guy. It's a bit of a crossover or transition between Origins and Dragon Age 2, and brings together Alistair, Isabela, and Varric. Gaider created the characters of Alistair and knows his voice better than anyone else. However, he doesn't know how I played my game, and by telling a story at this point in Alistair's life, Gaider is forced to collapse the quantum of Alistair's existence down to a single truth. As he chooses to tell it, Alistair is now the King of Ferelden. For many players, though, that won't be true. In my case, Alistair renounced all claims to the throne and continues serving the Grey Wardens. In other peoples' games, he may have been executed during the Landsmeet, or have sacrificed himself to kill the Archdemon, or become a wandering drunkard. It's a weird thing when a story-based RPG, which can support a multiplicity of meanings and outcomes for the player, is transported to a more authoritative medium, which can only express a single canonical truth. I wouldn't have thought that it would bother me as much as it did. Part of why I may have been slightly disappointed is because Bioware has historically done a very impressive job of working in the comics medium in a way that expands the story and is also compatible with all permutations of player choice. In some cases, like the great Penny Arcade comics, these are prequels to Origins or Awakening: as such they can provide additional background, and don't challenge anything about what the player will do in the future. (In contrast, their comic for Dragon Age 2 looks great, but presupposes a male Hawke.) In some other cases, comics can be inserted into the middle of a story, thanks to careful use of pronouns and elision of the player character. A great example of this is Dragon Age Revelation, also written by Gaider and with particularly fantastic art for Morrigan. What I love about this comic is that it can be read for any sort of Warden, with different sorts of goals and relationships, and it will still amplify and resonate with your own personal story. Filling in what you know of your relationship with Morrigan, her hesitations come to mean something different. It's quite well done. Probably the most impressive example comes from another franchise, Mass Effect: Redemption. That comic is surprisingly long, and deals with a very important section of Commander Shepard's life; it wasn't until well after I finished it that I realized that, while I had been picturing "my" female Shepard the whole time, with her particular romance, it would also have "worked" with a male who had romanced someone else or nobody at all. Again, this is something that great art can do: evoke rather than invoke, lay out certain ideas that our minds respond to and then fill in the details. So, yeah. I certainly don't begrudge anyone for working in this style, and if anyone has earned the right to create a canon, it's Gaider. At the same time, I don't particularly like it when a passive art form contradicts a participatory art form, so I'll probably be abstaining from the remainder of the Silent Grove for the time being. On the other hand, I'll probably pick up the prequel novels at some point. One final (I promise!) topic before signing off. The mere existence of semi-official spinoffs for Dragon Age (movies, comics, novels, pen-and-paper RPGs) makes me tremendously excited. It shows that Thedas is evolving beyond a simple game setting, and becoming a world in its own right. It's pretty rare for a fantasy land to make that leap; even some tremendously successful fantasy series like the Thomas Covenant chronicles and Wheel of Time haven't managed it (while others, like Midkemia and Earthsea, have). Thedas has a talented and enthusiastic fan base, and I've recently come to enjoy looking at all the fantastic fan art people have created. Some of this is humorous, some touching, some dark. Bioware has a great approach to this, encouraging and nurturing the creativity of these talented people. There are some great traditions like Morrigan Monday, which spotlights talented cosplayers portraying one of the favorite characters of the franchise. It'll be interesting to see where things develop from here. Middle-earth still reigns supreme as the ultimate source of fantasy inspiration, producing not only terrific art but also songs and games, not to mention direct adaptations like the movies. It's the former category that introduces me more than the latter: I love it when a world feels broad and deep enough to support the creation of entirely new stories on top of it, and not merely finding new ways to celebrate old tales. In the long run, this might help elevate Thedas even above my other favorite game-based fantasy worlds: I'll always love the Ultima series, and by extension Britannia, but the name and nature of Britannia's construction will always keep it from supporting this kind of art (with, um, a handful of exceptions). Thedas's originality positions it very well to transcend the games; heck, it already has, and it seems likely to continue inspiring more stories well into the future.